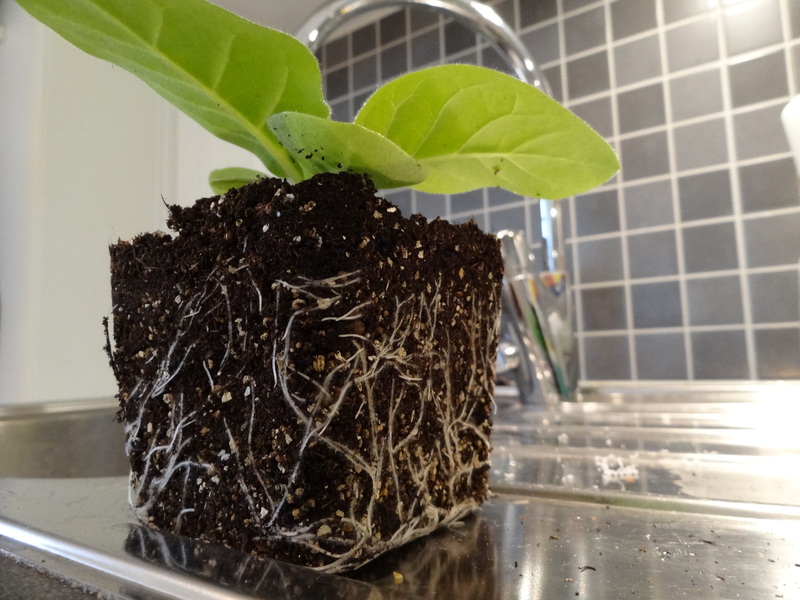 Only six days after transplanting my tobacco seedlings into new pots, and it looks like they already needs a new home. The last week have been somewhat moody visiting my grandmother at the hospital where she is preparing for her last journey. Such times brings up the existential questions of life. It’s very easy to get carried away, searching for answers to these questions. This can quickly get mentally exhausting, so looking for the meaning of life on earth rather that our existence can help us feel a bit more grounded, and let the existential questions rest for awhile. 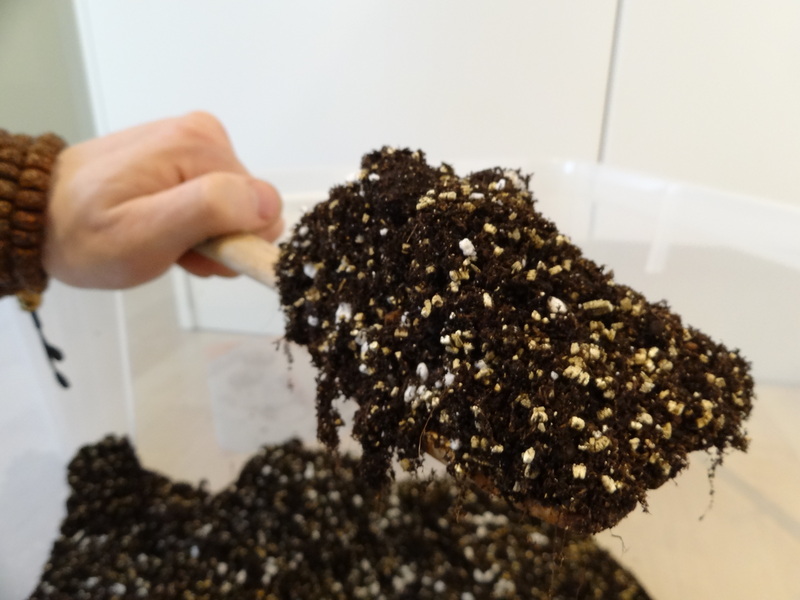 Working with plants, digging in soil, getting our hands dirty and helping new life emerge, are one of the best ways to take roots in reality and getting real a feeling of groundedness. 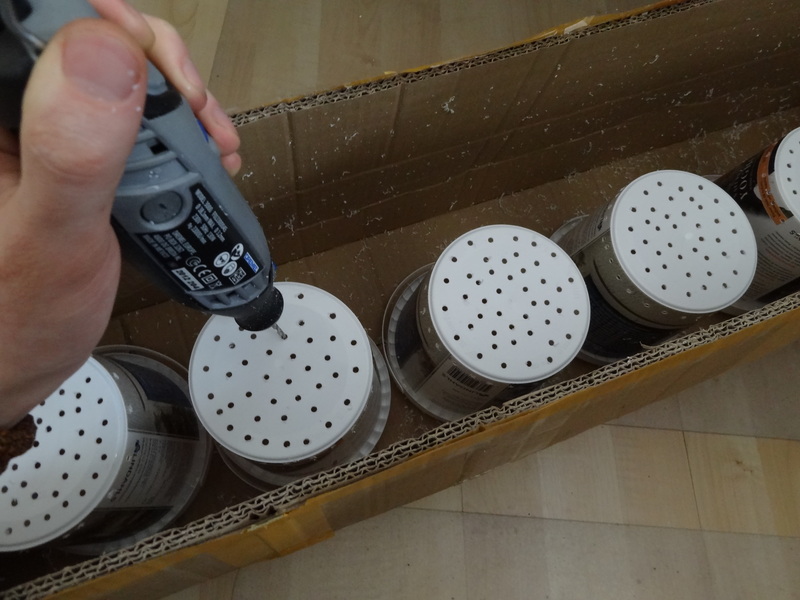 I didn’t feel for going to the store to buy new pots today, so I took some old yoghurt containers and used my Dremel to make some drainage holes in them. Reuse karma points right here! Approximately 13mm (1/2″) in diameter and height. 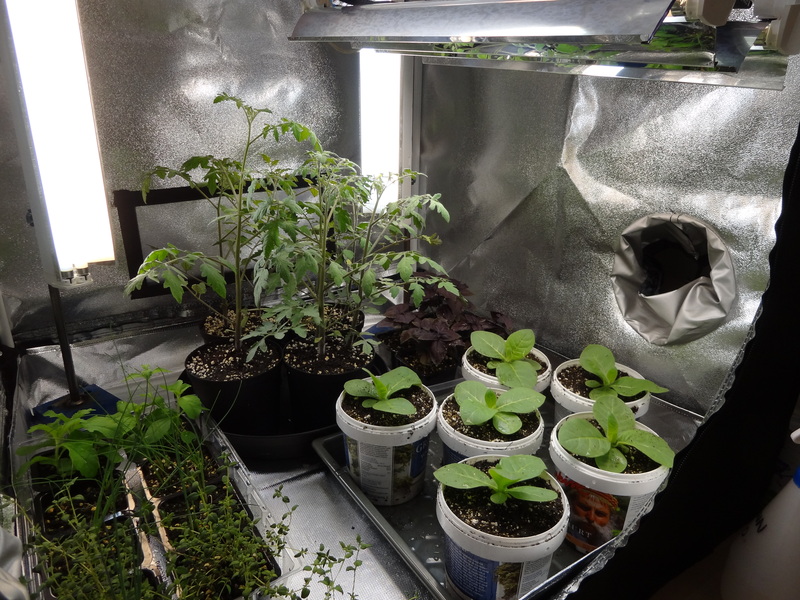 So I will probably have to do some more transplanting soon, but that’s alright. 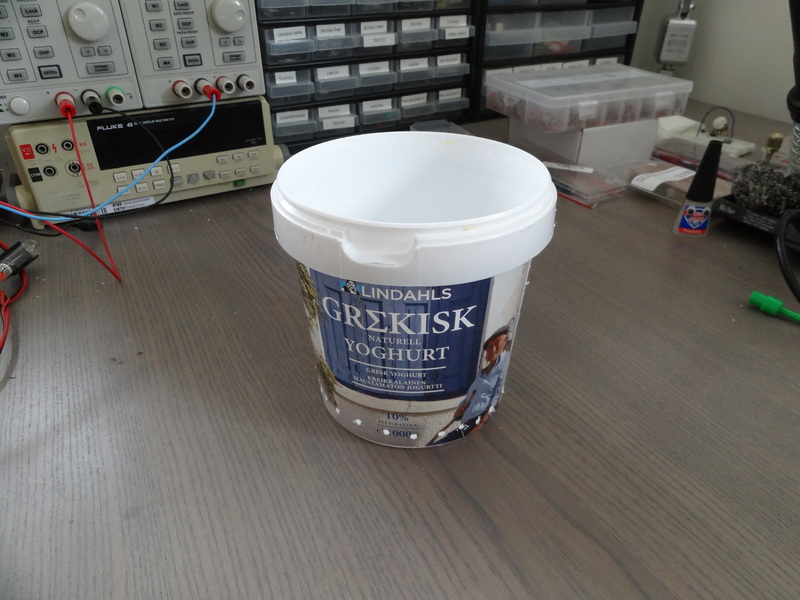 The plastic shavings tends to stick to everything so I did put them in a paper container to minimize the mess. 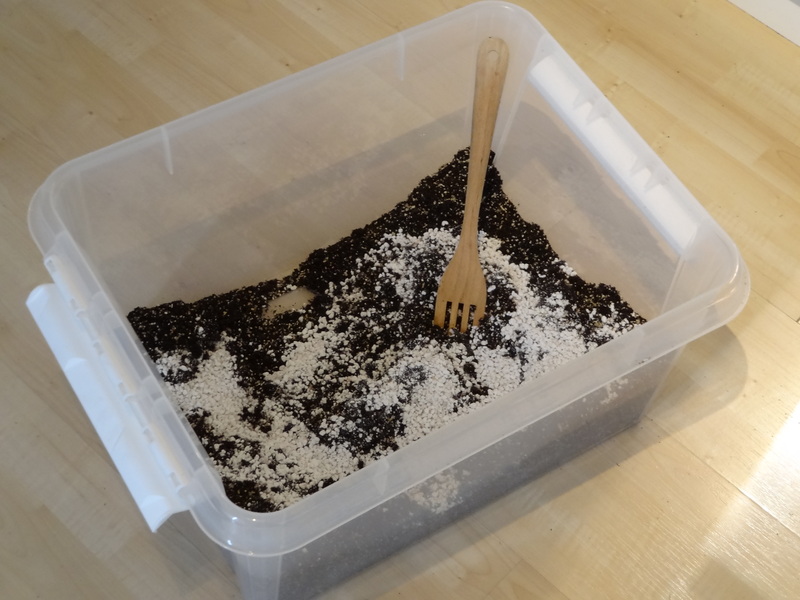 I was going to use ~30% Vermiculite mixed with organic potting soil mix, but I was short on vermiculite so I used some Perlite in there too. I think the mix came out pretty good. Just had to use some time breaking up the soil lumps. I was a bit worried about how I would get the plants out from their old pots, but it turned out to be no problem at all. I just had to wiggle them a bit, and press on the sides of the pot to release the soil, and each one came out in one piece. Now that is one beautiful plant! I was surprised of how developed the roots had become in just 6 days. Getting them into their new homes was no problem at all. After transplanting I do like to moisten the new soil from the top. 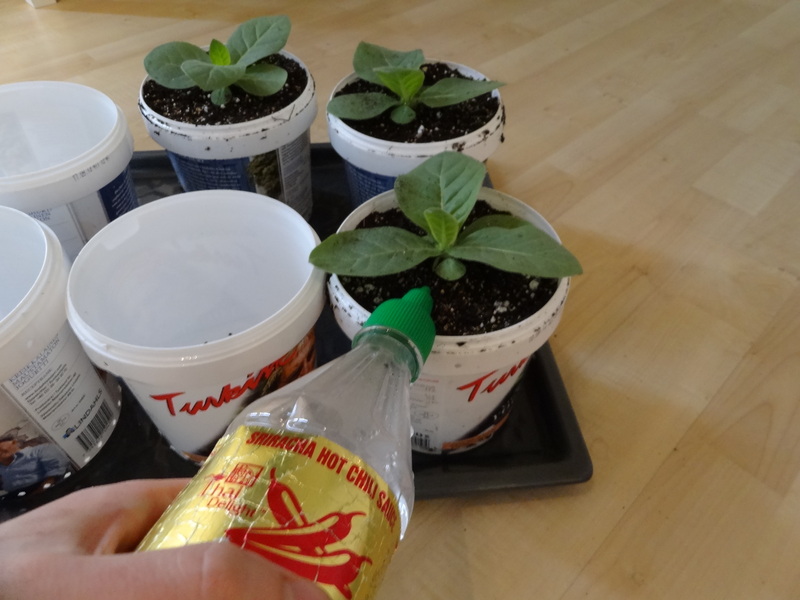 Here I’m using my Sriracha hot sauce bottle which works great for doing this. At some point I think I’ll need to supplement them with some additional nutrients. So any suggestions for an organic fertilizer rich in nitrogen, either home made or store bought would be very much appreciated! That’s all for now. Thanks for reading, and feel free to leave a comment. Today I have been transplanting the fittest seedlings from my starting trays into some larger pots. 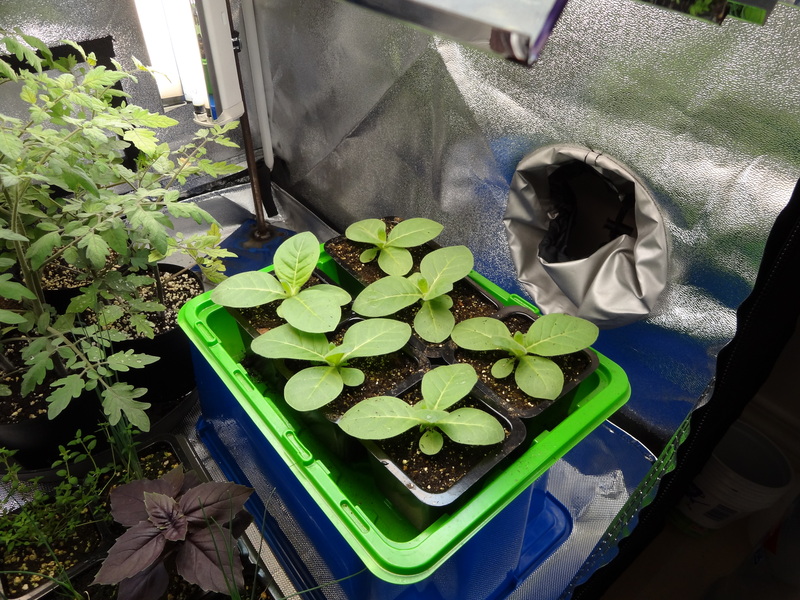 After almost one month with a lot of thinning (unexpected high germination rate on the organic Virginia tobacco seeds I bought of eBay), the remaining seedlings looks very strong and healthy. Soon they’re ready to go back into my grow tent and enjoy the precious lumens.